Birthday Sale Is Starting Now! Go For It! Get an additional 50% credits when buying the 3000 credits pack with promo code REBATE50. Valid for credits pack purchase. Valid for purchase with PayPal, Skrill or Bank Transfer. 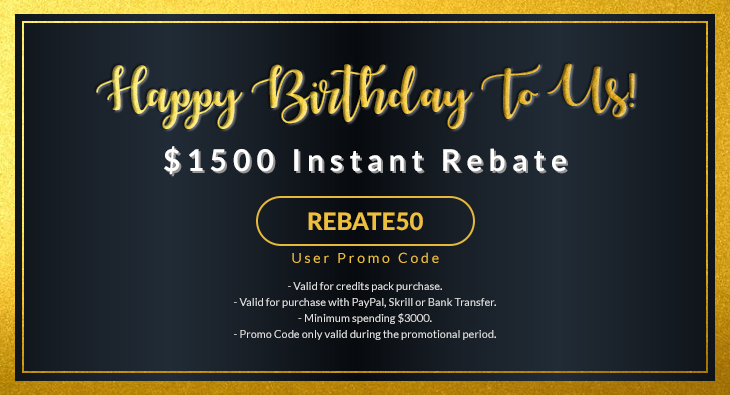 Use promo code REBATE50 when checkout. Promo Code only valid during the promotional period. 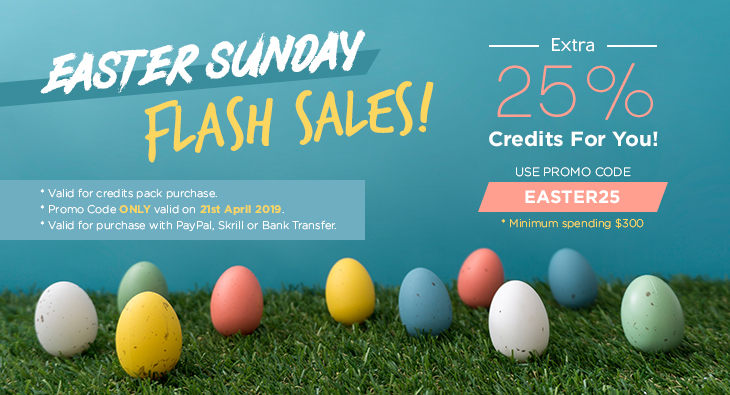 Easter Sunday Flash Sale! Extra 25% Credits For You! Get additional 25% credits when buying the 300 credits pack with promo code EASTER25. Use promo code EASTER25 when checkout. Promo Code only valid on 21st April 2019. 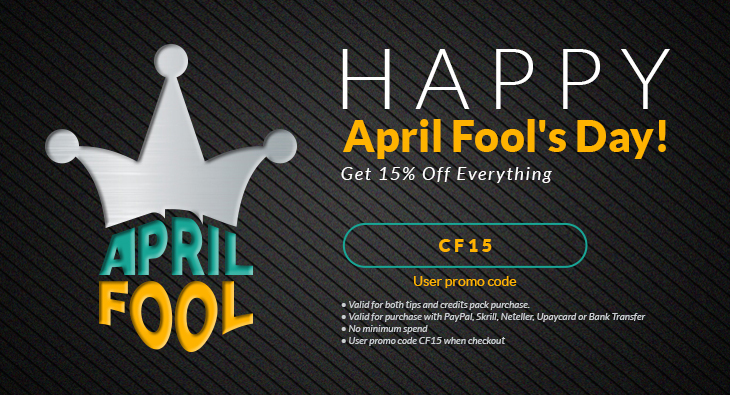 Use promo code CF15 to get 15% discount on any purchase. Valid for both tips and credits pack purchase. Valid for purchase with PayPal, Skrill, Neteller, Upaycard or Bank Transfer. Use promo code CF15 when checkout.